Blue-Action scientists are regularly attending events for connecting to other networks and communities. This is a list of the events we have been organising or attending in the past months. Steffen Olsen (DMI) presented the latest progress of Blue-Action at this meeting. Presentation is available in Zenodo. Vilena Valeeva (IASS), 4227965 Scenarios as a tool for the improvement of stakeholders' capacity for adapting effectively to multiple changes in the Arctic: The case of the Yamal region, allocated to session The future of Governance and handling Vulnerability in Arctic Ecosystems on 23 January 2019,starting at 13:30. 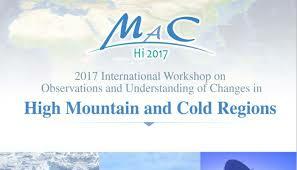 Inputs from the scientists of EU-MACS and MARCO (from FMI) are foreseen for the Session on Climate Services. Several scientists took partin the ASM2 as national representatives for their countries. Some of the colleagues working for Blue-Action attended the ASM2: Denmark was represented by Steffen M. Olsen and Shuting Yang (DMI), Germany by Kathrin Stephen (IASS), Tor Eldevik (UiB) for Norway. Outcomes of the ASM2: the final, signed statement from ASM2 can be downloaded here. Note that both YOPP and SAON are profiled as concrete actions for collaboration. From the EC, Marie-Anne Coninsx explained how the EC will continue to step up on their engagement in Arctic research. Mark will be presenting the case study on fishery at the Climateurope Festival. This workshop series is a part of the Blue-Action case study 5 on Yamal 2040 which enables various stakeholders of the remote Yamal region in the Russia Arctic to adapt to a highly uncertain future by creating a​ number of different scenarios as to how the region could look like by 2040. The scenarios were created together with stakeholders at the first two workshops and they incorporate knowledge from different backgrounds including climate science, economic, political, and local-indigenous perspectives. At the third workshop, the stakeholders will be provided with concrete tools to adapt to climate change impacts and other uncertain developments in the Yamal region. This will be achieved through the development of adaptation strategies tailored to specific stakeholder groups in order to help them to prepare for potential consequences of each scenario. This policy briefing has been a joint effort of the two H2020 projects Blue-Action and AtlantOS and Searica. Searica is the European Parliament Intergroup on The Seas, Rivers, Islands and Coastal Areas. The intergroup brings together 80 Members of the European Parliament from six different political groups and 19 member states. NEW! Check out the WAKELET of the event! Blue-Action representatives: Mikahil Dobrynin (UHH) and Daniela Domeisen (ETH) WP1. Extreme weather events are commonly encompassed phenomena such as heat waves, droughts, floods and storms. In cold regions, these are augmented with snow and sea-ice related extreme events, usually triggered by anomalous atmospheric or oceanic conditions. Although extreme events are a core climate research focus, cryospheric extremes have not received much attention yet. The overarching aim of the workshop is to review our understanding of cryospheric extreme events in the past, present and future, and to identify research needs. This survey addresses Arctic in-situ observations of the ocean, atmosphere, terrestrial sphere and cryosphere, retrieved through established networks/observing systems as well as individual large projects. The survey has been launched by the INTAROS teams. Scope of the survey: to collect the information needed to assess the existing Arctic in-situ observing systems in terms of data delivery chain, accessibility, and spatial-temporal coverage. Please contribute to the survey, this is important for all those working in the Arctic! The repository of the answers will enhance the visibility of the assessed data, and will facilitate data discovery for stakeholders and data users. On 18 April 2016, Switzerland announced the creation of the Swiss Polar Institute - intending to have its voice heard and making a contribution in a field in which it already had solid expertise. 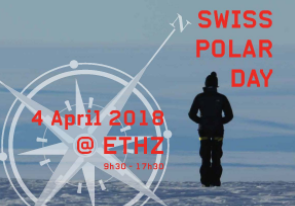 The Swiss Polar institute organised the first Swiss Polar Day in early April in Zuerich. 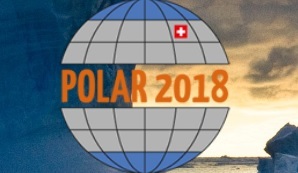 Blue-Action representative: Daniela Domeísen (ETH Zurich) will be presenting Blue-Action at the Swiss Polar Day holding a presentation about our activities. Presentation of Blue-Action recent activities and potential contribution to EU-PolarNet activities in Tallinn. 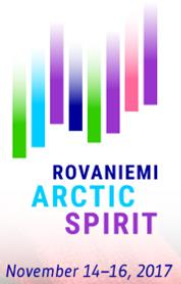 The seminar provides information about the preparations for the Second Arctic Science Ministerial Meeting (which will take place in Berlin in late October), and also present the EU’s research policy and EU-funded Arctic research projects. Moreover, we will look at international science cooperation in the Arctic and possible "sticking points" (and possibilities for addressing these challenges). This is an event on invitation only! Venue and location: via Gobetti 101, 40129 Bologna, inside the CNR Research Area campus. The aim of the workshop is to bring together experts in observations, observational data providers, major users and stakeholders in order to discuss the societal benefit areas of Arctic observational systems. The workshop will provide information on relative importance of observational systems with respect to their societal benefits and investment and maintenance costs. The project report will be a part of the European Union contribution to the Arctic Ministerial Meeting planned in the autumn 2018. The Arctic Circle Forum: Edinburgh 2017 is an Arctic Circle Forum organised by the Scottish government. The Arctic Circle Forums are a series of specialised spin-off events from the main Arctic Circle Assembly, held annually in Iceland. It provides an opportunity for policy makers, academics, professionals and wider civic society to participate in discussions focused on areas of common interest between Scotland and Arctic region. Blue-Action representative: partner Marine Scotland Science has a stand at the exhibition. 15 Nov. 2017 COP23 - Side event of the EU Arctic Cluster "Polar insights for climate action: Arctic science contributions to implementing the Paris Agreement"
Lead organiser are EU-PolarNet/APPLICATE, with the support and contribution of Blue-Action, ICE-ARC, INTAROS, Nunataryuk, INTERACT. The side event will deal with the following topics: Introduction and link to Paris Agreement, Changing weather pattern, Glacier/ice sheet melt impact on sea level, Permafrost, Influence of the Arctic on Global Oceans. 13-15 October 2017, Arctic Circle 2017, Reykjavik Meet Blue-Action and the Arctic Cluster! We are excited to be part of this event and to be represented there by our scientists. Stand of the EU Arctic cluster: Look out for our roll ups at the event! Poster of Blue-Action on WP5 case studies presented at this event. Blue-Action representative: Raeanne Miller (SRSL) with a poster on Blue-Action project and specifically the connections between WP5 and WP8. Topic: Evaluating climate and Earth system models at the process level. 28 April 2017 The Obukhov Institute of Atmospheric Physics, Russian Academy of Sciences awarded Russian funding for mirrowing Blue-Action proposal! Blue-Action invited to attend the GA of EU-Polarnet which will be held during the ASSW2017 to discuss modes of cooperation and information. Steffen Olsen will be attending the meeting. 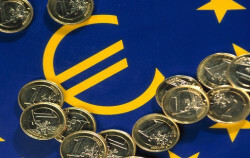 Organised by the EC officers of Blue-Action: financial management and financial reporting.